Rub ribs generously on both sides with the dry rub. Place in an oven or Roaster and cook at 275 degrees for 30 minutes then turn the heat down to 250 degrees for 2 hours. Add a wet barbecue sauce over the surface of the ribs and cook an additional 30 minutes. 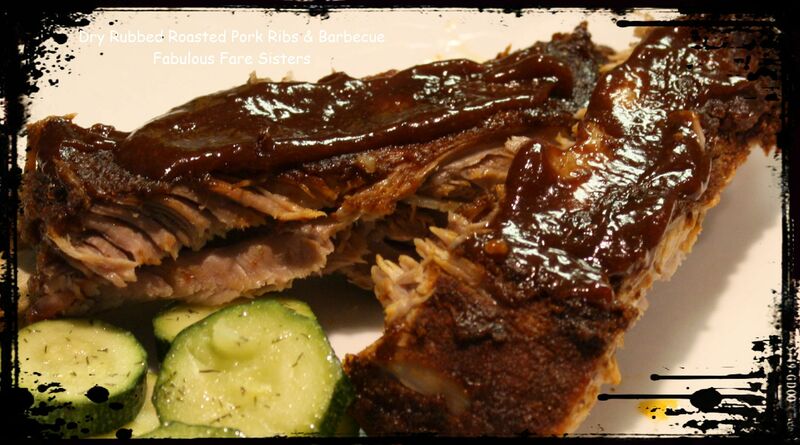 I use my own barbecue sauce, (to be blogged in future), but use your favorite sauce! These ribs are so good! The meat pulls right off the bone and the bark has a smoky-sweet flavor. Sounds delicious and quite do-able.